So, you’ve got a great idea for your business, but you don’t have the funds right now to get it off the ground. You could try applying for a government grant, but it’s often a long and arduous bureaucratic process of form filling and there are of course no guarantees you’ll get the money. Some governments also offer tax incentives for research and development, but usually you need to spend the money before you can get it back. And there are private investors—’business angels’—too, if you have the contacts and know how to structure and negotiate a good deal that you won’t regret in the years to come. ‘Bootstrapping’ is the most common way that businesses fund their startup phase. This is where entrepreneurs fund the startup business out of their own savings and even from their credit card limits! High risk, but the bootstrapping advantage is that the founders don’t have to give away equity or control to other investors. The downside is that bootstrapping can lead to under-capitalisation of the business, which can starve it of the cash the business needs to fund its growth. You have to admire the entrepreneurial spirit. Small business is the engine room of the economy. But what if you’re not able to tap into government grants, private investors or your don’t have sufficient funds for your startup idea? Fortunately, it’s not a dead-end. There’s another relatively new way for your business to get the money it needs: crowdfunding. 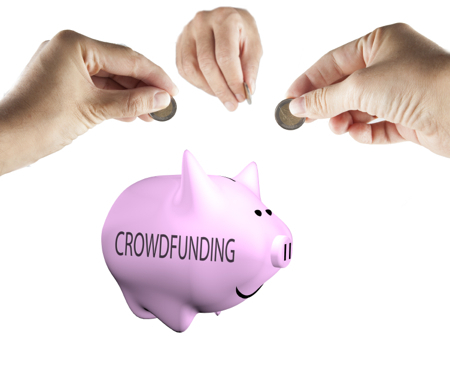 Crowdfunding is defined as the practice of funding a project or venture by raising many small amounts of money from a large number of people, typically via a web-based independent crowdfunding platform. Compared with other ways of raising money through multiple smaller investors—such as by issuing a prospectus or other traditionally regulated disclosure documents, which could also extend to completing the complex and expensive Initial Public Offering (IPO) process—crowdfunding is a relatively simple, easy and inexpensive process. 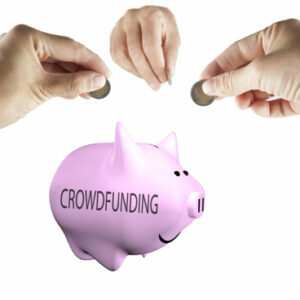 Crowdfunding is essentially a process of explaining (selling the idea of!) a proposed venture or project, and then asking for pledges from the public. In return, those who pledge receive rewards. These rewards can include early access to the product or service, or copies of the proposed book, album or movie, or (depending on the crowdfunding platform used) even equity in your company. You just need to offer something that motivates people to help fund your crowdfunding campaign. * the time period you want to raise it in. What happens at the end of that time period depends on the funding model you’ve chosen. With the ‘all-or-nothing’ model (used by crowdfunding sites such as Pozible and Kickstarter, if you don’t reach your target then nothing happens. You don’t get any money, and your backers don’t get any rewards. If your campaign is successful, then you get the money (less the fees charged by the crowdfunding site), and the backers get their rewards. How much are you willing to reveal? The secret to a successful crowdfunding campaign is giving people a compelling reason to back it. And according to Johanna Baker-Dowell of Strawberry Communications, that means telling your story. There’s a fine line between telling your story and giving away your intellectual property. So when you’re telling your story, make sure you don’t reveal too much. An amazing success with crowdfunding story comes from a local company with their Flow Hive Indiegogo campaign. Breaking a multitude of previous Indiegogo records, they raised over USD$12 million for their project. Astoundingly, their target of USD$70,000 was raised within the first 8 minutes! Although these successes are not going to be the experience of every crowdfunding campaign, and are probably extreme examples, it shows that with the right project and putting the effort into your campaign, you may be able to achieve your funding goals. Thanks to the internet and crowdfunding platforms, entrepreneurs now have more options and a much better chance to get the funding needed for their startups.